Sneaker heads unite! 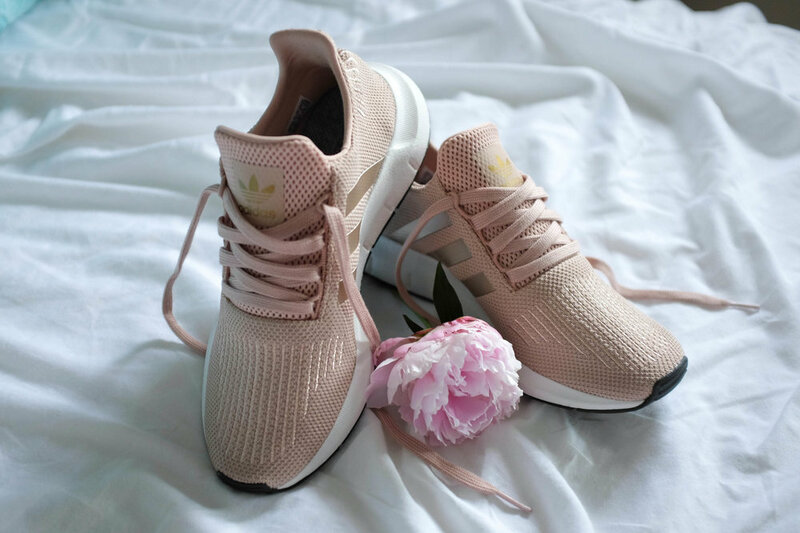 I'll be the first to admit that I'm not a fitness junkie in any way, shape or form but I do have a weakness for a cool pair of kicks. I tend to live in my Nike IDs, Converse Chucks white leather low cuts and my pink Nike Roshe when going for occasional walk. 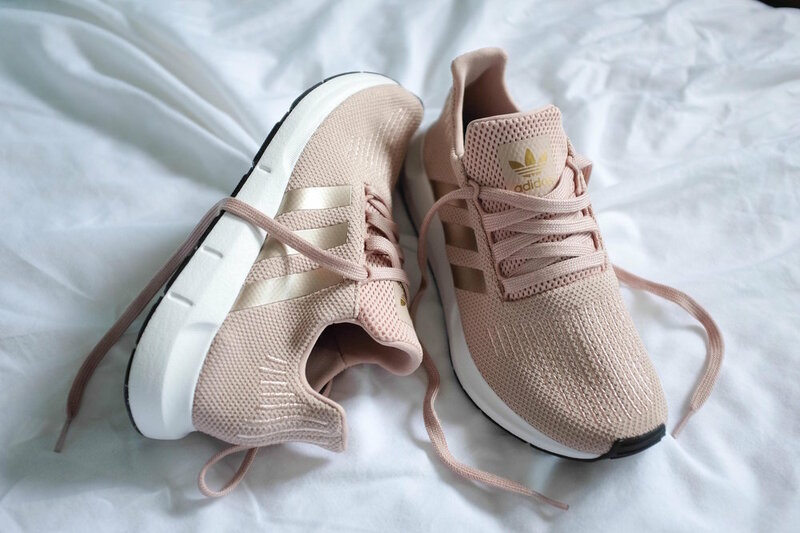 These Adidas Originals Swift Run in this beautiful dusty millennial pink colour with rose gold stitching and foil stripes ticked all the boxes. I tried on a pair at my local Foot Locker and they actually fit my wide petite feet - yay! 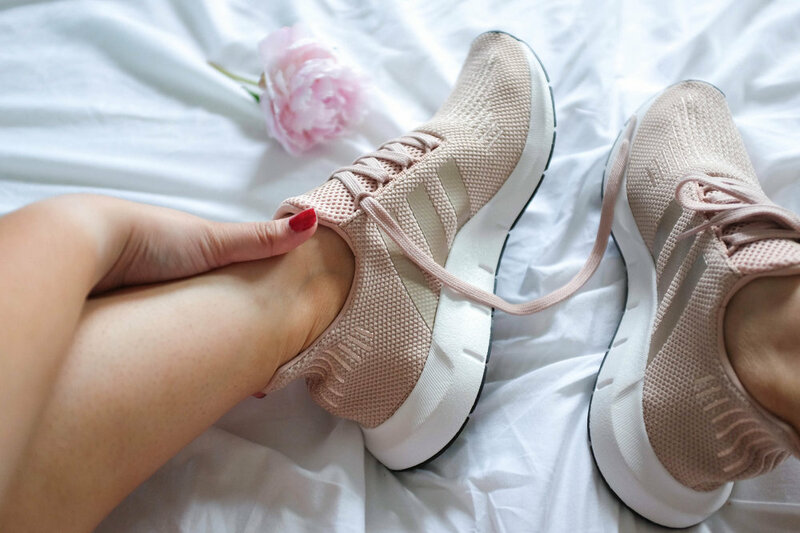 The knitted, sock-like construction make these so easy to slip on and super comfy. These will be on rotation, especially for running around getting all the Christmas errands done! Which pair of kicks have you currently got your eye on? Comment below, I'd love to hear about it - chances are it's probably on my wish list too.